Upon venturing into the premium car care market 25 years ago, I suddenly realized my life-long passion. I was fascinated by variations in waxes, paint sealants, leather conditioners; what goes into them, how and why they work, which combinations yield the best outcomes. 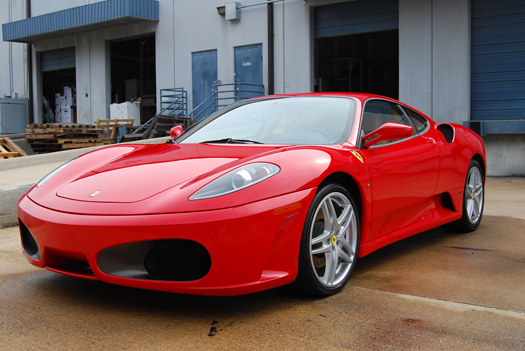 In 1997, I created and launched the award-winning Detailer’s Pride Professional Detailing Products. A few years later, I became co-owner of Pinnacle Natural Brilliance, a complete line of car care products for the discriminating auto connoisseur, built around a pure carnauba wax. Since then I set out to design another innovative series of products that would complement modernizations in car paint and finishes, utilize advancements in research and development in the car care industry, and fulfill the ever-changing desires of the consumer. Lee, my senior chemist, the staff at the Manufacturing Division of Palm Beach Motoring Accessories, and I set up stringent guidelines for the development of the ultimate car care line that we would eventually introduce to the car-loving public. Our collective vision was of a complete line of exclusive car care products that would be an exceptional value based on superb effectiveness, employing cutting-edge research and development, encompassing all aspects of car care applications. We were driven to have our product spearhead a new breed of environmentally friendly, non-toxic, biodegradable products, recently made possible through modern science. But our foremost goal was the creation of paint sealant that could bridge the gap between carnauba waxes and long-lasting paint sealants—combining their most desirable traits. We became consumed with successfully completing this mission. We were confident but still searching for the one thing that would make our line truly outstanding in the automotive care world. Lee was adamant that he must go to Germany where chemists excelled in state-of-the-art molecular science, leaps and bounds ahead of the rest of the scientific world. He felt that comparing formulas and studying German modus operandi would be essential to perfecting our line. Here, in German laboratories, he would find the missing link. During the trips abroad, one German chemist, Wolfgang Determan, became increasingly interested in our undertaking and wished to contribute his experience and knowledge. Wolfgang eagerly joined our team to help create an American-made, German formula like none other. Incidentally, this chemist extraordinaire is the proud namesake of our Wolfgang Concours-Series. The journey has been long, but rewarding. After years of trials and testing, research and experimentation, we are finally launching a complete system of Concours-worthy products with a high-tech paint sealant at its nucleus. The resulting line of products stems from highly advanced German technologies that are not yet available in the United States. Thanks to German-discovered “super polymers,” the foundation of our formula, we’ve created a revolutionary paint protector that has the personality of a pure carnauba wax with the genetic make-up of paint sealant. We proudly manufacture, bottle and market Wolfgang in America, and wouldn’t have it any other way. This arrangement is comparable to the tradition in the automobile industry; German and Japanese technology is brought to America and utilized by American automotive companies. As we see it, this provides to you the best of both worlds. 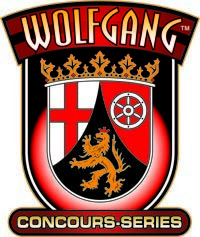 Wolfgang Concours-Series will delight even the most critical, educated car enthusiast. Granted, there is a good selection of premium car care products available, all with their strong points, and everyone has their favorites. We are confident that, once you try any one of the terrific products of Wolfgang Concours-Series, it will become an integral part of your car care regimen. Created by a team of scientists, chemists, professional detailers, and auto enthusiasts exclusively for the discriminating car care lover. Formulated with state-of-the-art German scientific innovations in molecular chemistry. Built and manufactured on years of experience in the car care industry (by the manufacturers of Detailer’s Pride and Pinnacle Natural Brilliance). Professional-grade products that are designed for ease of application, even in climates of high heat and humidity. Complete line of non-abrasive, paint-friendly, oil-in-water emulsion products, for total interior and exterior care and protection. Quality, long-lasting products for exceptional value. Paint sealant-based regimen, for enduring shine and protection. 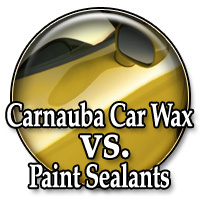 Modeled after the finest characteristics of the best carnauba waxes (deep, wet gorgeous shine), without the stereotypical sterile shine associated with run-of-the-mill paint sealants. Withstands frequent washings, extreme climates, ultraviolet rays, infrared radiation, salt water, and environmental contaminants.